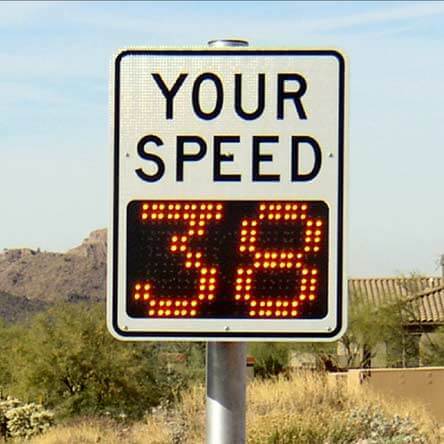 The RU2 Fast 550 Radar Speed Display Sign is designed for positioning by fork lift in industrial situations where speeding is a concern. 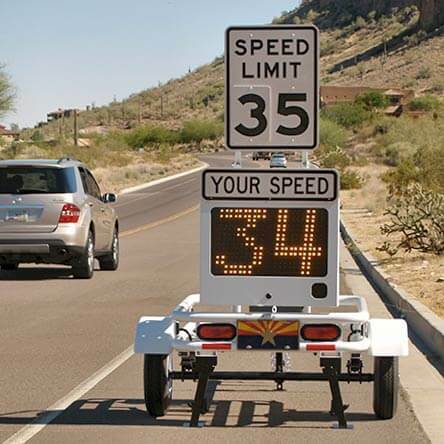 This pallet mounted radar display is accurate within one mile per hour and easily read at a glance. Place in factories, warehouses, quarries, marshalling yards, and the like to remind drivers of their responsibility. Pedestrians can be easily seen around the sign and the 40″ x 48″ polyethylene pallet is built to withstand adverse weather conditions. In addition the Fast-550 can be equipped with our RU2 Systems Data Acquisition Package that records the time, date and speed on oncoming vehicles without the use of cumbersome pneumatic tubes placed across the street. The data is collected onto a SmartMedia card and brought to your desk for analysis. There is never a reason to bring a laptop computer into the field to interface with an RU2 speed radar trailer! 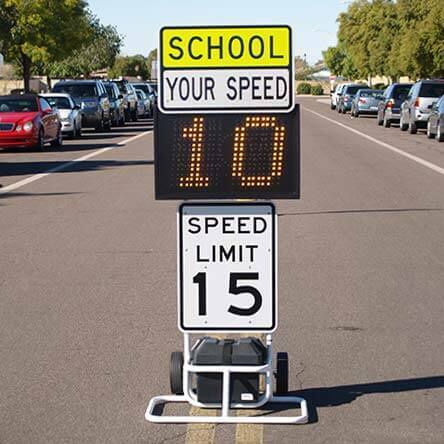 In addition, the data can also be collected in “stealth”mode; no speeds are displayed, so it appears the sign is off so normal traffic patterns can be recorded. 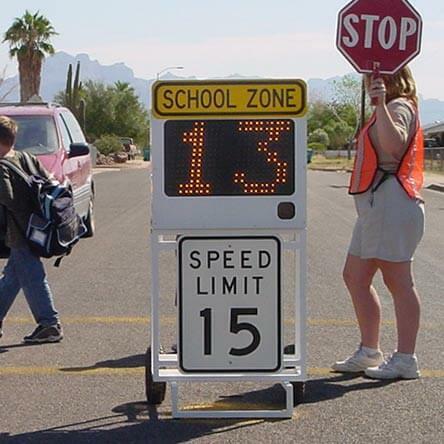 RU2 Systems, Inc. has the right signs and trailers to help you succeed with your traffic calming solutions!